In my position I get to try out a lot of new gadgets for use in the classroom. Sometimes our school pays for these “trial gadgets” and sometimes vendors are willing to give us a device gratis for testing. I’m not sure if it’s my blogging that helps, the large purchases we make at least once or twice a year, or the fact that I get to put the devices into real world scenarios with teachers and students, but it’s nice to be able to play with all of these gadgets. We recently received a Bamboo Create wireless tablet by Wacom, free of charge for full disclosure, to see how it would work in a classroom setting. I wanted to put it up against one of the Promethean ActivSlate wireless tablets that a few of our teachers have to see how it compared. Although we did receive one of the Promethean tablets for free with a large purchase of interactive white boards a couple of years ago, the rest we’ve paid for as teachers found they enjoyed the wireless freedom to move about the room. I found a couple of teachers that were pretty comfortable using wireless tablets to try out the Wacom device to see how it stacked up against the Promethean tablet. The ActivSlate is one of those work-duty grade devices, built to take a lot of abuse, tumbling, fumbling, and still work like a champ. It’s designed primarily for schools, so the teachers in my district appreciate the sturdiness of engineering that Promethean put into the device. 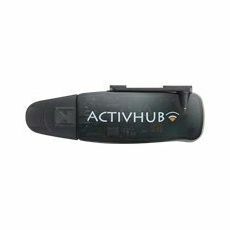 It’s reliable, uses an internal rechargeable battery, and integrates nicely with some of features found in the ActivInspire software that comes bundled with Promethean’s interactive whiteboards. As a side note, ActivInspire is one of my go-to applications for digital whiteboarding and interactive building in the classroom. The Promethean ActivSlate has seen limited success in a few classrooms in our school. The hardware has proven to be effective and work almost flawlessly. The teachers that have them originally requested them so they could be more mobile in their classrooms. It helps them get away from the front of the room, and wander around, while still being able to control what’s happening on their projected computer screen. It also makes it easier to hand control over to a student, who may or may not be comfortable getting up at the board. Mostly teachers use it for doing math work on our interactive whiteboards, and in those classrooms where traditional whiteboards have been removed from the front of the room, it’s been mostly a positive change. The ActivSlate is great to setup, provided you have the necessary Promethean software already installed, and already have an existing ActivHub (pictured above), the wireless unit the slate uses to communicate with your computer. Just plug in the hub, and the computer instantly recognizes the tablet, and you’re ready to go. The tablet’s size makes it good to hold in your hand and walk around, and with the pen clip at the top, it’s easier to remember where you left your stylus. 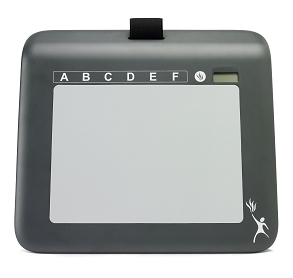 The ActivSlate also ties into the Promethean software’s polling system, so not only can you or a student drive the computer from anywhere in the room, but you have some control over polling as well. That is, if you have the additional student response devices (clickers). USB ACtivhub for the Promethean wireless devices. Did the see the massive size of the USB hub above for Promethean wireless devices? It’s HUGE, and on any laptop, once you have that thing plugged in, it covers the rest of the USB ports of your computer, so don’t expect to plug in any more peripherals without a USB multi-hub. Our teachers haven’t complained too much, but the tablet has a 4:3 ratio, while all of our laptops at school are closer to widescreen formats, meaning you have to lift up and move the stylus a few times for a lot of scrolling or moving about the screen. It’s a rather small tablet, so you have to do that a lot, something that not everyone can get used to. The responsiveness is decent, if a little off at times though. The biggest complaint for this wireless tablet though is the price and software needed. The price for the hub and the slate is close to $400, and that’s the educational pricing! Don’t get me wrong, it’s a rock solid product that has withstood many beatings and accidental drops from students and teachers alike, but that price tag is s bit steep. Wacom’s Bamboo line of tablets have a highly polished look. As I said at the top of this post, the Bamboo Create was sent to me at school gratis to try it out. However, since I don’t get to work in a classroom on a regular basis, I had a couple of art teachers in my district try it out. They loved it! Niether had used one of the Promethean ActivSlates before, so this was their first experience with a tablet, wireless or wired. I played a bit with the tablet as well, to get a feel for it, and while it’s doesn’t seem as accident proof as the Promethean model (dentable aluminum vs. hardened plastic), the teachers that used it felt it was comfortable and light like the ActivSlate. Super awesomely small USB receiver. The USB receiver for the Wacom Bamboo Create is practically microscopic compared to the ActivHub! It’s one of those nano-receivers that come with most wireless mice, and once seated, is barely even noticeable along side your laptop or in your desktop USB port. The wireless kit comes separately from the actual tablet, and includes a battery. Otherwise, the Bamboo Create has to be tethered via USB cord to function. The wireless package fit into its space nicely, and there’s even a spot in the side of the Wacom tablet to house the receiver when not in use, which was rather handy for one of the art teachers who tried it out, as she takes her laptop back and forth and didn’t want to lost the receiver while travelling. The Wacom seems to have a bit finer fidelity than the Promethean tablet, and possess dimensions that almost mirrored the Macbooks we have in the district for teacher use. That meant the Wacom Bamboo seemed better suited for the wider computer screens that our teachers use. Buttons along the side allow for turning touch capacity on the surface of the tablet on or off, with one art teacher enjoying touch mode for younger students. We’ve had a few wireless issues, with the tablet just dropping its connection to the computer while using the wireless receiver. However, the helpful tech support at Wacom hooked us up with newer drivers, and helped remove some of the problem ones. It’s been running flawlessly now, but I was concerned that it had issues in the first place given the rock solid performance of the ActivSlate. The Wacom Bamboo Create was a bit more awkward to walk around with than the Promethean ActivSlate as well. Its longer width meant it didn’t cradle quite as nicely while being carried around the room. Other than that, the biggest beef I had with the unit was installing all of the software (drivers and applications) that it came with. Don’t get me wrong, the installation went smoothly, but there are a LOT of helper applications that want to “pop up” and run every time you start using the tablet; I’m looking at your Bamboo Dock App. I hope this post doesn’t come off as an advertisement, but rather a reflection on how we explore technology in my district, and some of the rather practical questions that get asked, and hopefully answered, as a part of that process. There are many educators who feel the need to champion one piece of technology over another, and even though I may be guilty of that at times as well, I’m always striving to try to find the best solutions for the situation. Both of these tablet offer strong points for classroom use. They’re fairly durable, have good battery life, and work well (once I worked out the driver bugs). Students felt comfortable using either tablet, but the teachers seemed more willing to hand the Promethean ActivSlate over to students more so than the Wacom Bamboo Create. Perhaps because it was still too new, as the teachers wanted to keep it “shiny”. The Bamboo would probably make a much better “teacher demo” device for art and other fine application control give its seemingly higher fidelity. The price of the Bamboo is MUCH better as well, costing around $99. The wireless kit was another $40, so the entire package is still significantly cheaper than the Promethean ActivSlate. Given that price difference, it’s hard to justify more purchases of the Promethean models, given their more clunky USB receiver and large price difference. 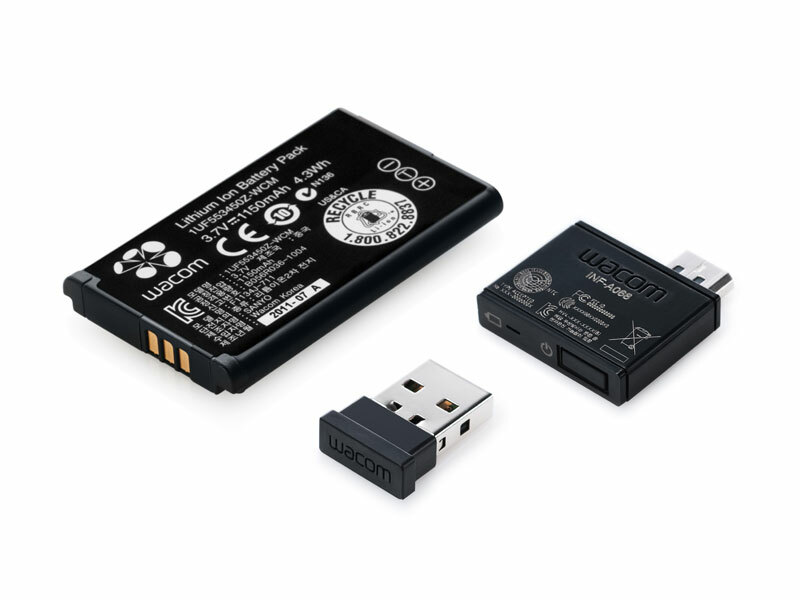 The ability for the Wacom to go back to wired USB mode is also appealing, as the ACtivSlate is only wireless, so if the receiver is damaged, you have to get a replacement before the unit is back in service. Both are solid wireless slates, but the price difference is enough to give my nod to the Wacom Bamboo Create for this battle. However, districts that are already deeply invested with Promethean hardware, should consider the ActivSlate’s added functionality of the polling integration as an excellent option as well. Expect to see more of both of these in classrooms soon as teachers look for ways to be more mobile, but don’t yet have an iPad or other mobile device with a screen. When the district said they would no longer be the technological support for our HP Tablets, I took it upon myself to step outside of my comfort zone on behalf of my department and use the Wacom Tablet. I have used the Wacom Tablet for years now (an older version of what is listed above). At the beginning, I was very skeptical as I did not see myself being able to look at the screen instead of where I was writing, but that is a trained skill. The more you use it, the better it becomes. I came to love it! Mind you, if Apple would come out with a tablet/laptop (not an iPad) similar to the HP, that would take care of all of our technology needs in every classroom. There would not be a need to buy an additional device if it was already built in to the laptops. Thanks for the research, Ben. You’re a great example of what it takes to make change possible, Nancy! Someone has to go first, and as difficult as it may be, the benefits of having someone like yourself take those risks help make the path easier for others to follow. I wish our district had the resources to outfit classrooms with whatever type of device teachers wanted, but alas, that time is far off. I’m hoping we can explore more of these less expensive options in the years to come based on smaller successes. I have been using a Promethean board and Activslate in my classroom for the past five years. During this time, i have made some really fabulous flipcharts for each of my lessons. I will be working in a new school district in the fall. Unfortunately, this district is very limited in resources and does not use Promethean products. I will have an LCD Projector and I might have access to an Interwrite tablet but that’s not guaranteed. I would love to purchase an Activslate but they’re just too expensive. I am looking into alternatives such as the Wacom bamboo tablet but I have concerns about compatibility. Since the tablet acts as a mouse, would I still be able to access Activinspire on my computer? Would there be any issues with the tablet’s software conflicting with Activinspire? Do you think that I would encounter similar issues with the Interwrite pad? I guess I’m looking for something that works AS WELL as the activslate but is affordable. The Wacom tablet should let you control your computer as described, and you should have no issues with ActivInspire, save for a couple. I do believe that if you aren’t plugged into a piece of Promethean hardware (ActivBoard, ActivSlate, etc.) then you won’t be able to use the handwriting recognition feature of ActivInspire, as well as one or two other abilities which escape me at the moment. On the whole though, it should work pretty well. This would most likely be the case with any other pads other than the ActivSlate. Unfortunately, I haven’t found anything that works as flawlessly as the ActivSlate, which could be one of the reasons it commands such a high price, but the Wacom would come in a close second. What about using apps with the tablet. For example, I like to incorporate apps like geogebra into my lessons. 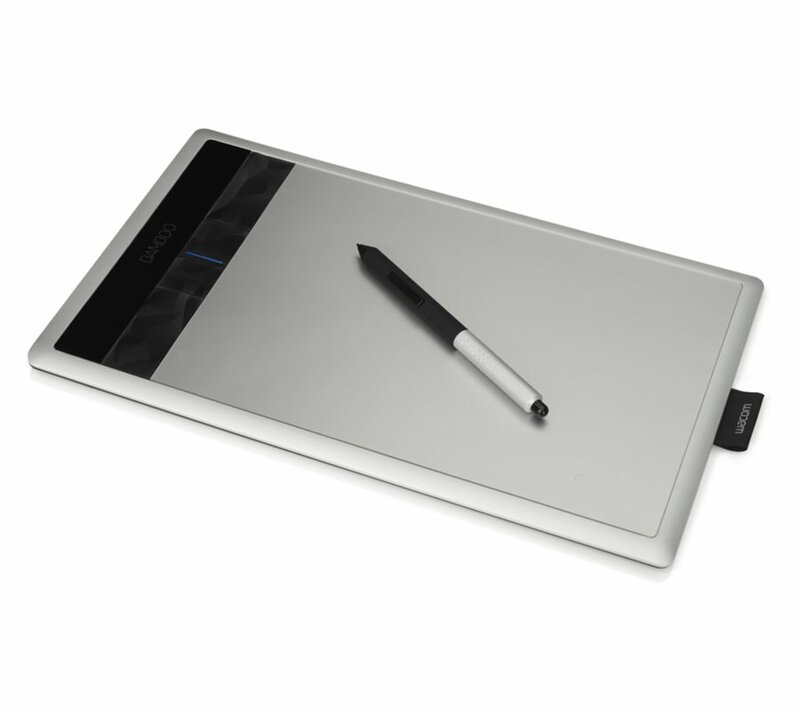 Does the Wacom tablet support using other apps or is it limited to ActivInspire? Great question, Richard. Both tablets act as wireless “track pads” or mice, so they’ll work with any app you can run on your desktop computer. If you can use the program with your mouse, then you can interact with it using the Wacom or the ActivInspire Tablet. However, for something like GeoGebra, you might want to go with the Wacom for the greater fidelity.